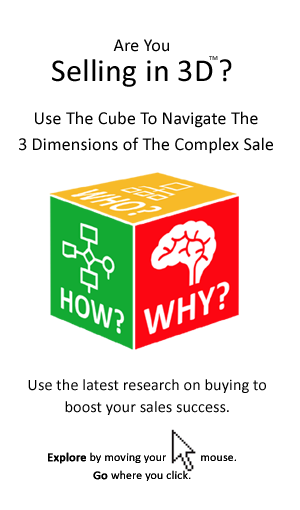 The #1 Question is aimed at establishing the buyer’s definition of success. That is arguably the most important (but too often overlooked) aspect of the seller’s needs analysis. After all the most fundamental need of any buyer is what they define as success. Success may be measured by the buyer at the level of a function, project team department business unit or organization. But, it does not really matter at what level success is measured, it is how you connect your solution to success at all levels that matters most. Salespeople often ask us ‘What if the customer has the wrong definition of success or no definition at all?’ The customer may be struggling to define success. Perhaps the customer’s expectations are too high or too low. Either way that is a great opportunity for the salesperson to add value in terms of helping the buyer to clarify success. Engaging in the discussion around success is the highest form of consultative or solution selling. It is where the seller can leverage customer stories, third party reports and industry benchmarks to powerful effect. 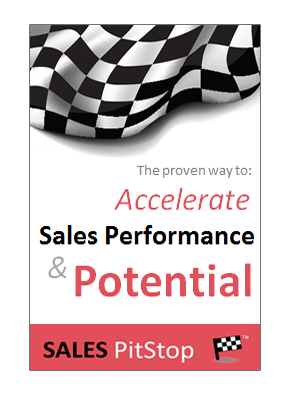 The seller who can shape the buyer’s definition of success is in pole position when it comes to winning the sale. On the other hand the seller who does not know, or understand what the buyer really wants to achieve is at real disadvantage. The No.1 Question can be a real differentiator.